Why building a CI culture in a business has a much bigger impact than just employing an improvement team. As Business Improvement training providers, we work with a lot of companies that are at the beginning of their journey to continuous improvement. However, one of the biggest misconceptions we deal with is that by training a team of people in Lean Six Sigma, a continuous improvement culture will naturally follow in the whole business – that is absolutely not the case. Training a small group of employees in Lean Six Sigma will result in a small team who are focused on improvement. If they are a cross-functional team you will see improvement in all areas of the business – but you will not see a cultural change. The rest of your employees will see the group of improvement experts as ‘other’ to them and view them as causing disruption (even if they concede that the disruption has a positive outcome). There is no way for your culture to ‘automatically’ improve. 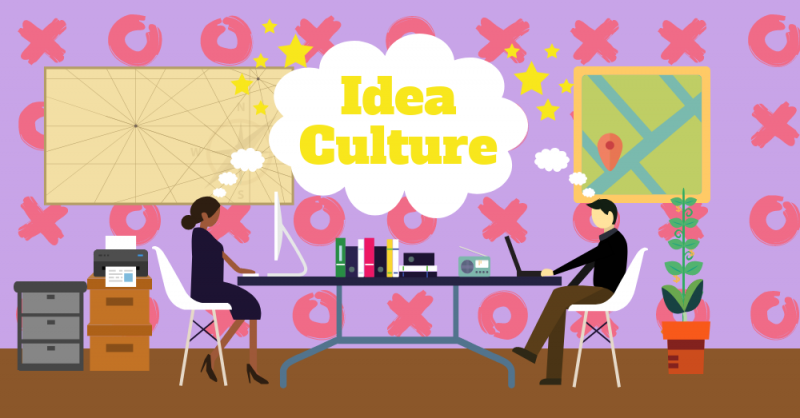 If you want to change your culture, you need to work on it specifically. At 100% Effective, we recommend training every single employee on the benefit of continuous improvement, and then working with them to ensure what they have learned becomes embedded. By training the whole company, and actively working to create an improvement culture, every single member of staff will feel that they are included. This avoids the Us vs Them issue that can be prevalent in many improvement initiatives, allowing you to start with everyone on board. While there will always be resistant to individual changes and developments, people are much more open to them when they understand the motivations and reasons behind them. In addition, continuous improvement is about removing blame so that people feel comfortable discussing how something can be made better without feeling they’ll get into trouble for the state it is currently in. By making this clear, you pave the way for people to suggest their own ideas for improvement AND you make it clear that blame is not tolerated. As mentioned above, the more people you have in your company with an understanding of continuous improvement, the more ideas you will have for improvement. 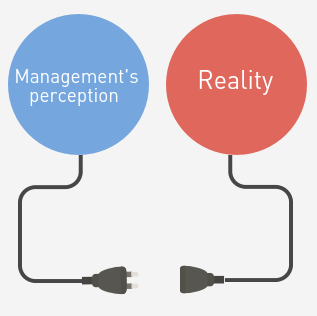 Research shows that managers are not aware of 96% of problems within a business. That means that if you’re only training management-level staff, you won’t see the levels of improvement that you want. While the management team may have the skills necessary to manage complex projects, they may not have the visibility to see them in the first place. Front line staff are most aware of the problems they face and the customers face. Giving them the power to suggest improvements. Knowing that they will be listened to and free from blame empowers them to act. Employees need to see a few successful projects in order to see how they are handled. If the projects are successful, working environments are improved and – crucially – the front-line staff responsible for the process are not blamed for how it was being done prior to the improvement, you will start to see suggestions rolling in. Take on those suggestions and you will see the ideas snowball. All of the above – being listened to, not being blamed, seeing success, a better working environment – will result in happier staff. And happier staff are generally more productive, giving you a double whammy of improvement. Staff that feel empowered to change and have the support of their employer are happier, more productive and more loyal. Why wouldn’t you strive for that? Our NHS case study proves the impact of a continuous improvement culture – check it out here or by clicking the button below. Learning at Work Week – What You Want!